Since 10 years I have a nice case of asthma. No, it’s not life threatening. And no, it doesn’t mean you can’t do anything physical. Au contraire, there are a lot of good athletes who suffer from asthma, like the awesome marathon elite runner Paula Radcliffe. She did overcome asthma.. Although I use two kinds of asthma meds it still holds me back in my sports. Not that I will ever be an elite athlete ( running or CrossFit), but I know I could do much better without asthma. With my running ( with interval and tempo runs) my lungs are burning and I can’t get enough air, but my legs still have so much strength. And I just want to use that strength so bad! I’m a slow runner, like really slow. My speed is about 11 tot 12 minutes a mile. To be honest, I really hate being slow. I really don’t like it, but I still haven’t found a way to get faster. Sometimes on an interval training I really dig deep. Afterwards I have a taste of blood in my mouth and my lungs will hurt the rest of the day. I don’t know if that’s a good thing, but it’s a asthma thing. Other asthma runners can relate. Right? But besides all the limitations that asthma can cause, it helped me also with a couple of things. I tought me to never give up. To not compare myself with others, only myself. I tought me I still could do what I want to do even with asthma. In 2013 and 2014 I ran the 13.1 miles! Not fast, but I did it! It was really hard and I doubted myself a lot, but I did it. Even twice! A lot of people with healthy lungs just don’t do that. And this year I will run the magic 26.2 miles in Oslo! Not sure if I make it, but I will give it a 200% to make it happen. Even if I have to crawl over the finish line. January 2014 I started doing CrossFit. My lungs don’t like CrossFit. The mix of sprints with explosive weight exercises kill my lungs every single time. But since I started I have become so much stronger! I didn’t get really faster, but that will happen some day. I like to keep challenging myself and get better bit by bit. So what I’m trying to say, you can do a lot with asthma. You just have to do it an keep doing it. You might not be the best or the fastes, but you will be at your best and your fastest. Yes, you will be out of breath and it will hurt sometimes, but it won’t kill you. I was wondering if other runners or CrossFitters or workout enthusiasts can help me. Do you have tips or exercises to make you less out of breath? I would love to read your comments. If you know someone who has asthma, who works out a lot, please ask them. I’m just curious how you all deal with asthma. Did you reach goals, you didn’t think you could ever reach? Great post! Wonderful to hear that you’re still exercising despite having asthma. 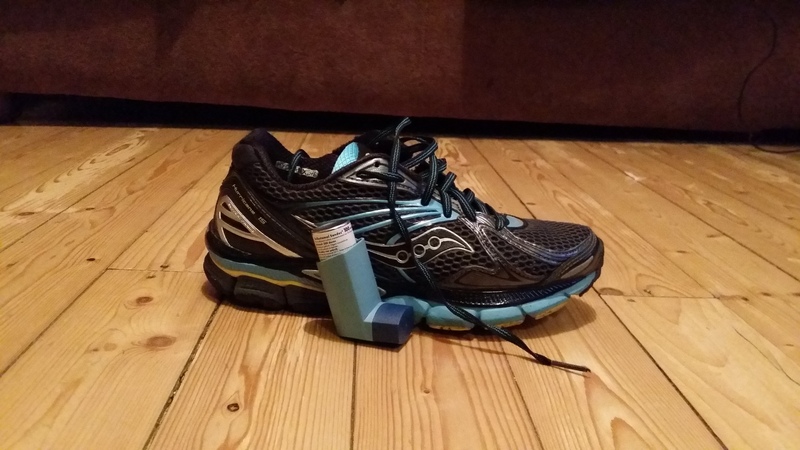 A lot of people with asthma think they can’t exercise–glad you’re proving them wrong! Keep up the good work. Thanks you so much! This means a lot to me. It ain’t easy, but hope to inspire other people with asthma, you can still do anything you want!